The gold 2 pound coin, also referred to as the double sovereign, is a highly prized item with collectors in the UK and the wider world. With a face value of £2 (or 40 shillings in old money), it was originally minted in the 1820’s to great fanfare in the reign of King George III. 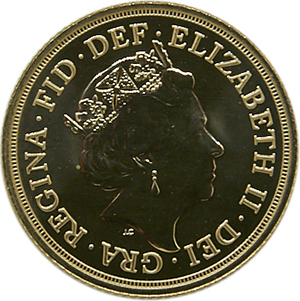 The modern £2 coin, which has been ubiquitous in the currency since June 1998, is based on the design of the double sovereign, with a similar diameter. The early double sovereign was actually never circulated widely and the very first £2 gold coins in fact date back to the early 15th century (these were not double sovereigns). These too were curiously never introduced widely as a currency across the region. It wasn’t until towards the end of the 19th century that the double sovereign was introduced into widespread circulation when it was issued to celebrate Queen Victoria’s Golden Jubilee. Ever since then the double sovereign has become a highly collectable item, with new coins produced yearly. The early coins are among the most valuable, and with its Saint George slaying the dragon design, is something of a holy grail for collectors of precious metal and ancient coins. Originally designed by Benedetto Pistrucci, this version of the double sovereign was considered controversial at the time. This is mainly because King George III himself disliked the Italian’s work for a myriad of reasons, including its perceived mocking of the King’s full figure. The coin itself is 22 carat gold, which makes it particularly pure in terms of coinage. With a 0.47oz gold content and weighing just under 16 grams, it is a coin that holds its value over the long term. In fact, gold coins that are minted and verified by governments and respected mints are among the safest precious metal products to invest in.